Jackie Robinson played his first Major League baseball game 65 years ago today. 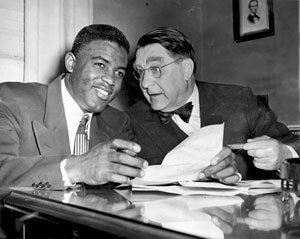 We’ve long become inured to stories of “firsts,” since our society has come so far on the road to judging each person by the content of his character, but in a century of firsts, Jackie Robinson was extra special. Nobody has explained his significance as well as Jack Marshall in his Ethics Alarms blog. Read it here.